news Mobile provider Telstra claims to have achieved a “world first” following “successful” tests of 1Gbps speed capability on its commercial mobile network. 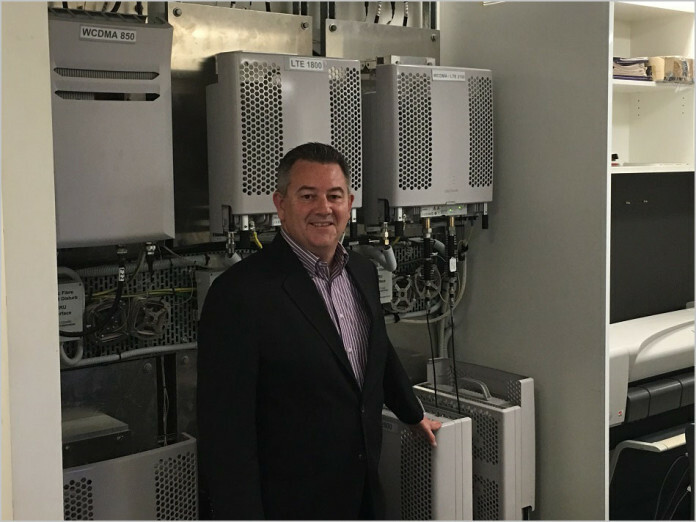 The firm’s group managing director of Networks, Mike Wright (pictured), said it achieved the 1Gbps speed capability, with collaboration from Ericsson, by “aggregating together 100MHz of Telstra’s spectrum holdings across five separate 4G channels integrated on our commercial end-to-end network”. In a statement, Wright argued that, while a widely accepted view had previously been that 4G should achieve peak speeds in the range of 1Gbps, “in the end the global consensus was that the term 4G could be applied to any LTE (Long Term Evolution) technology regardless of peak speed capability”. Following its successful test, the firm suggested LTE technology is finally “moving beyond the 4G barrier”. Wright indicated that the demonstration of 1Gbps end-to-end capability showed Telstra’s ability to “rapidly bring [it] into commercial service in order to deliver increased capacity in our network to meet the growing demand”. Aside from consumer services, Wright said Telstra was preparing its networks for growth in business use, as well as emerging technologies, “which rely on our ability to deliver high capacity and low-latency solutions”. Currently, Telstra customers can access speeds on devices capable of “up to 450Mbps on compatible handsets” and 600Mbps via mobile hotspots in “selected 4GX coverage areas”. While Wright acknowledged Telstra still has some work to do, it predicted “the days of commercial 1Gbps services in the market are coming”. Wow, imagine how quickly you could exhaust your 1gb/month limit at 1gbps (answer, about 11 seconds). The reality is very, very different too what is being claimed, though – you can do all kinds of things at various points in your network, but the reality is that the whole thing can only deliver data at the speed of the slowest link. Imagine the contention resulting from 1,000 users trying to drag data from the same tower at 1gbps each! 1tbps?! Seriously, this is pipe dream stuff. If Telstra wants to make waves in mobile, they need to wok out how to eliminate contention at the tower. And how to cost effectively deliver cheap data so they can dramatically increase data allowance. 4g phones today are capable of stellar performance, but the reality is users simply aren’t seeing those speeds due to contention, and even if they were they can’t use it for much more than Web browsing because quotas are so limiting and expensive to increase. amazing. this does absolutely nothing for my adsl connection which is 30-50 times slower… 2 more months and I will never ever be a telstra customer. see ya! The Telstra mobile network is built off the back of cheap exploited 457 labour. All very nice, but what use is it, when data plans are so tiny?